New from Cake Fox: Cake Fox Fashion Dinkies Dress Nurse and Cake Fox Fashion Dinkies Outfit Nurse up for SWAG this weekend for 50L$ each. 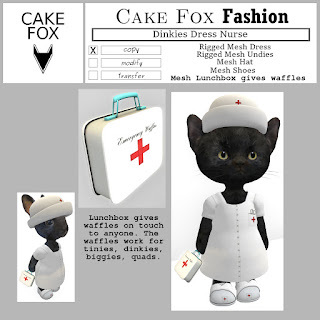 The dress comes with a waffle giving lunchbox, and the outfit comes with a quotation giving stethoscope. 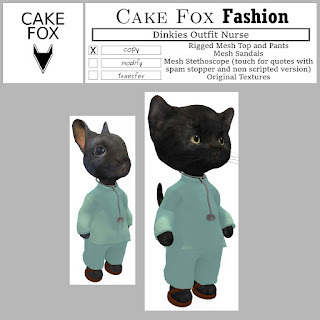 Get it at the Cake Fox SWAG location.